Hi hi hello! Natalie here to share with you what I’ve been eating since I started my journey to true intuitive eating. The past couple months have been a huge learning curve for me (and bear with me because I’m definitely still learning!) as I learn to get comfortable with eating all foods and detaching my identity from the way I eat. Be sure to check out Alexis’ recent post, New Me Versus Old Me in addition to the Must Reads on this topic. Changing my mindset has allowed me to tune into what my body is truly asking for, which actually tends to be a lot of vegetables, grains, protein and regular desserts. Of course at the beginning the allure of foods like chocolate, chips and ice cream was really strong and I wanted all the cookies all the time, but as I continued I realized that I didn’t even like these foods as much as I thought I did! I finally realized that I have the ability to really listen to my body and give it what it wants. Once I hit that breakthrough, I was able to be around foods I was previously afraid of and feel more calm and in control than any diet ever made me feel. I could sit around a massive plate of nachos with my family and only eat three because I didn’t actually love them and I wanted to save room for something that would be more satisfying. Back in the day, if I ate even one nacho I would have felt like a failure for ruining my “perfect” diet and sabotaged myself by eating all the nachos. Removing the black and white mentality means that I can now make better food choices without having to use any willpower at all. I can’t even tell you how amazing it is to be able to eat a bowl of raw veggies for a snack or have 2 cookies and not feel any sense of pride or guilt with either choice. Hello food freedom! 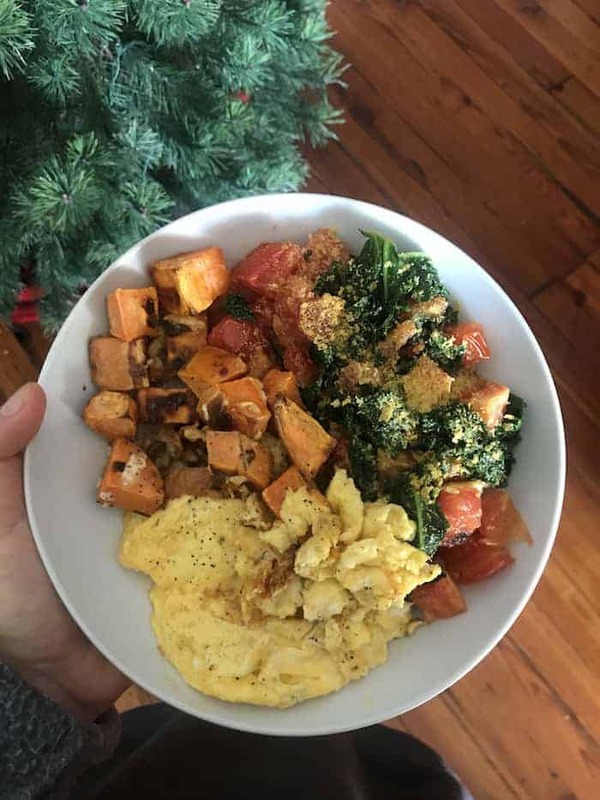 Breakfast of eggs scrambled in buttah, roasted sweet potatoes and veggies sautéed in coconut oil with nutritional yeast, along with the obligatory bottomless coffee. 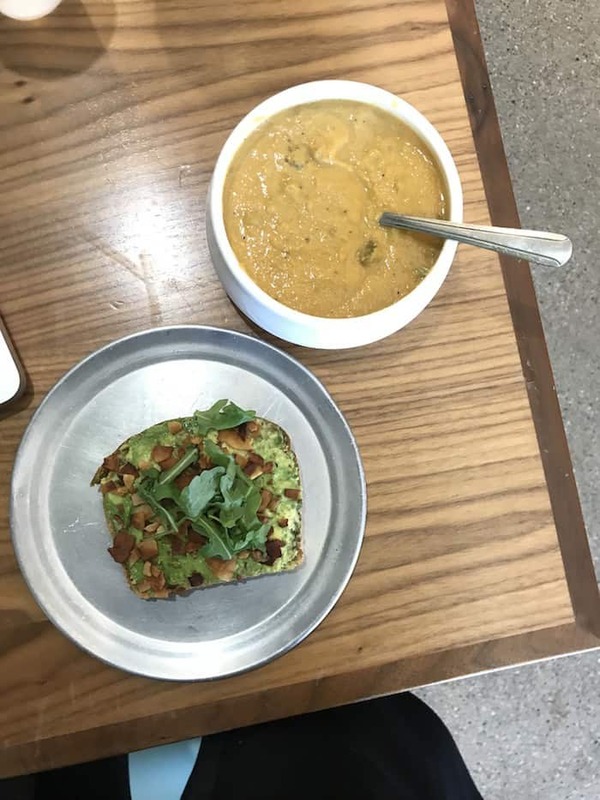 Broccoli cheddar soup and coconut bacon avocado toast from Alchemy. Considering moving in so lunch can be this good every day. 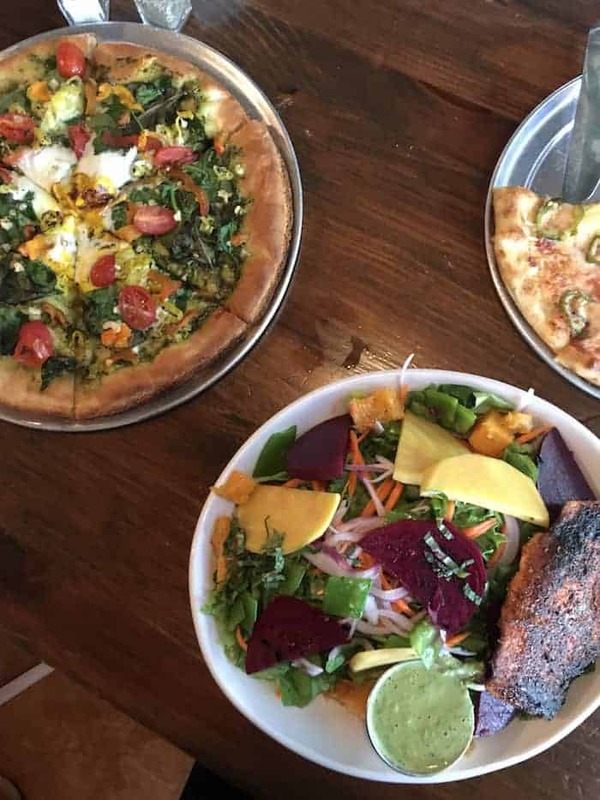 Salmon salad and pizza from Harvest! My friend got hush puppies as an appetizer and I about fell out of my chair when I tasted the honey butter they came with. A classic case of good food, bad lighting. 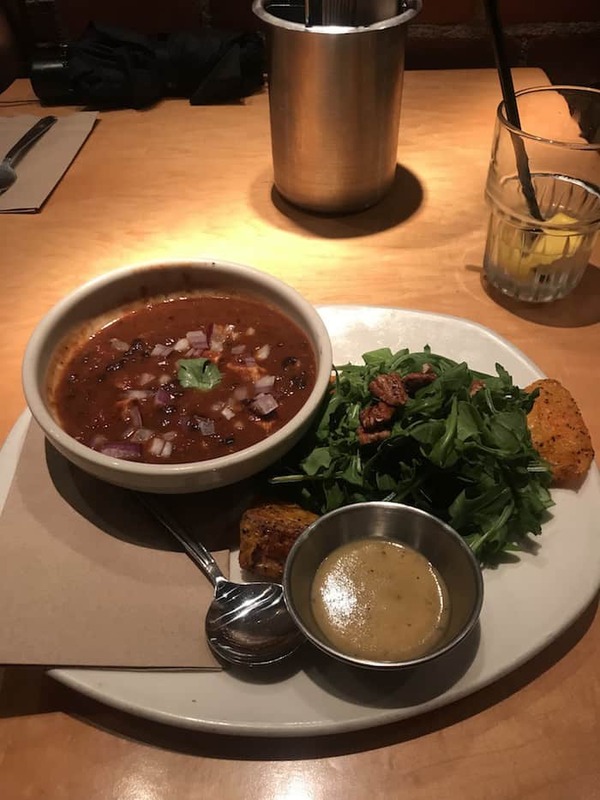 Some friends and I went to Northstar for a birthday dinner and I deviated from my usual salad to get the chicken chili and seasonal salad. We ended the night with the most insane salted chocolate chip cookie! My sister is a life saver and stashed a bunch of snacks in her bag to keep up occupied when our flight got delayed. 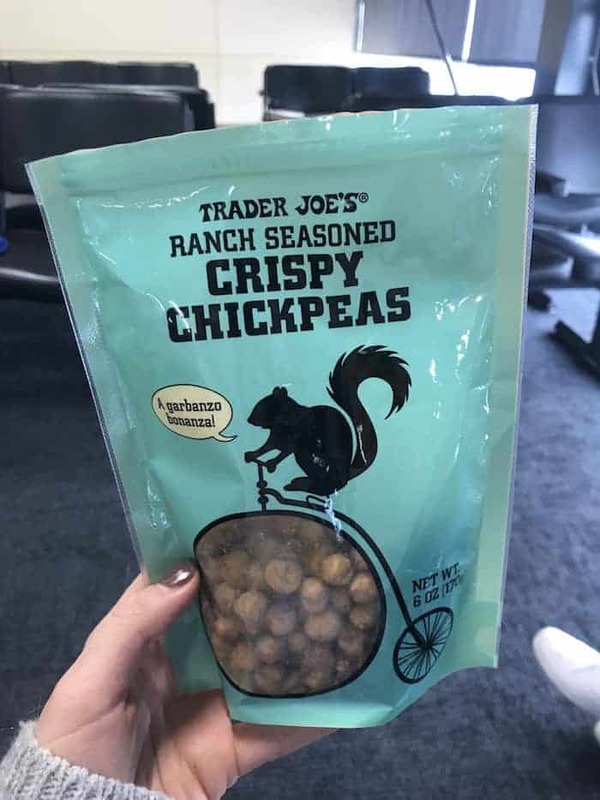 I’m not usually a big fan of ranch but these chickpeas were delish! 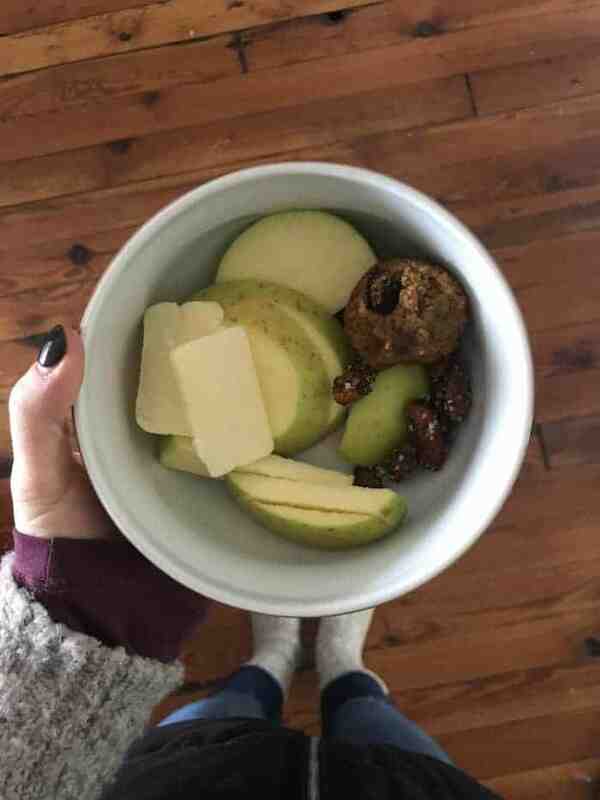 Hodge-podge snack bowl of a sliced apple, maple roasted almonds, a mini muffin and some local raw cheddar. Aren’t sweet and savory snacks the best? 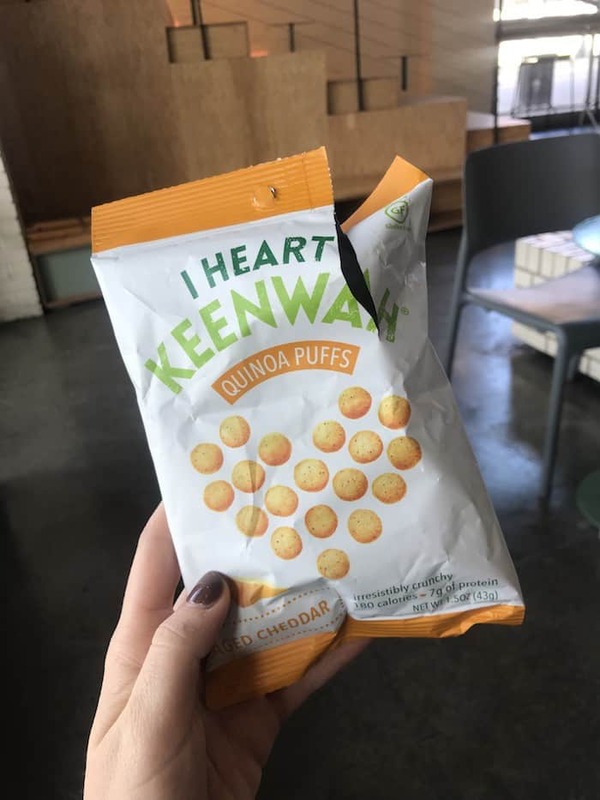 Alexis gave me these quinoa puffs that actually taste like the cheese puffs I used to eat by the handful as a kid. Who else remembers the giant tub of bright orange goodness? I split the bag with my friend while we talked about life instead of doing our homework. Totally worth it. 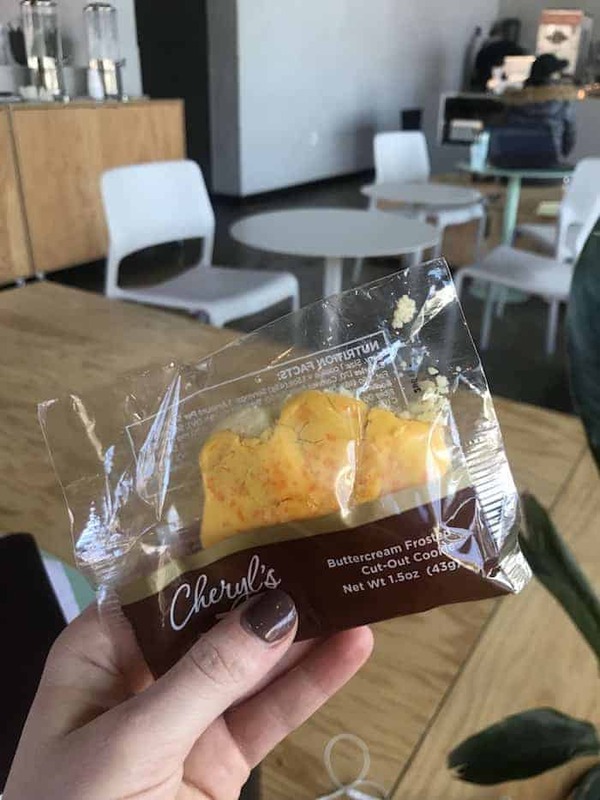 When I was walking across campus I ran into a table of free Cheryl’s cookies. Old Natalie would have walked right past it but turning down things I actually want is a thing of the past! Peanut butter is literally the most perfect food. I die over new flavors and variations so these peanut butter cups were a must. The banana flavor wasn’t too strong so they were perfect. 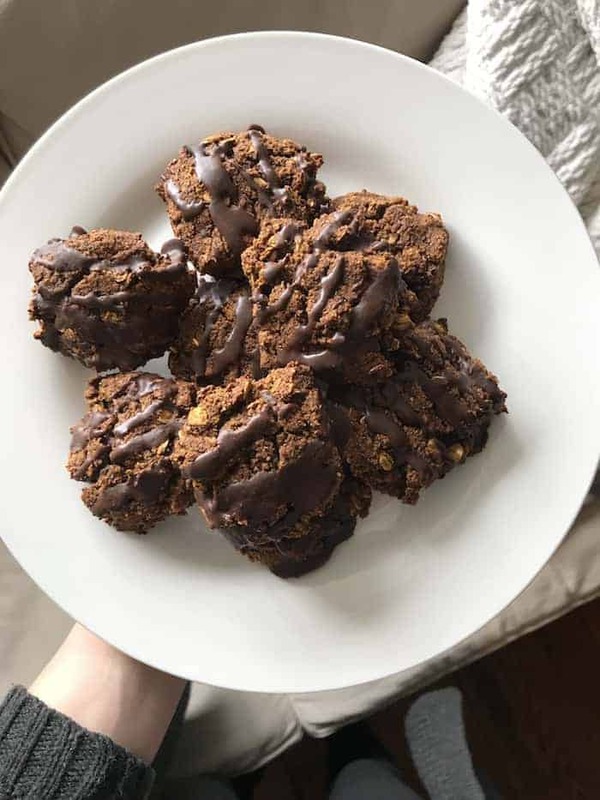 Pillowy pumpkin cookies drizzled in coconut oil chocolate were on repeat for the whole month of November. Can’t get enough! 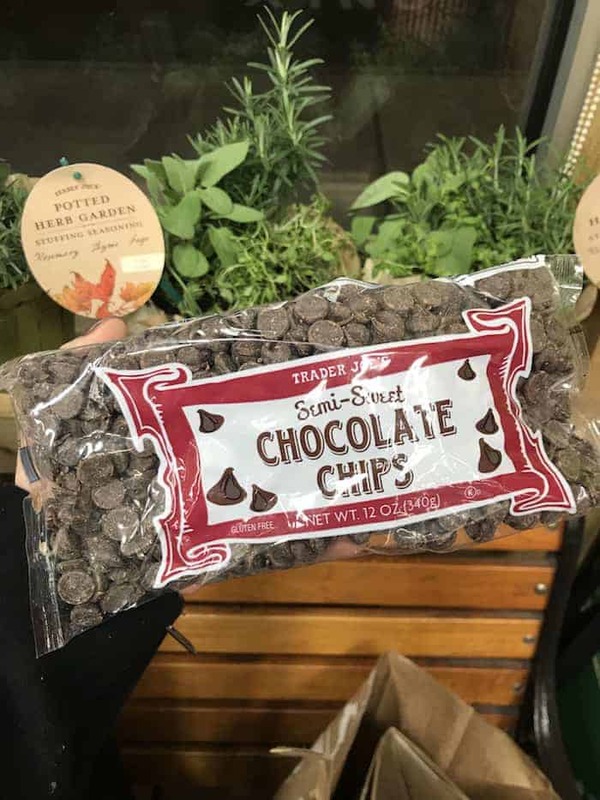 Does anyone else eat chocolate chips straight out of the bag? Or better yet, sprinkled on a spoonful of peanut butter? Chocolate is my love language and these little chippies are my all time fave. Some of these foods have more nutrients than others, but all of them have benefits. Learning how to incorporate every food into my daily life has actually allowed me to eat healthier and feel more free around food. So here’s to a month of enjoying all the Christmas cookies and wine while remembering to take care of ourselves and eat our veggies too! Your meals and snacks look so delicious! :) Those pumpkin cookies look like an absolute dream! Yes! I have definitely been eating more cookies than normal….and I still feel perfectly fine :) props to you for listening to your body! Right?! Funny how that works :) Cookies do no wrong! Absence makes the heart grow fonder, am I right? I did the same exact thing with my diet! I restricted myself so much and would want that food so badly – just because I couldn’t have it! Once you allow yourself the freedom of choice, you learn so much about yourself and what you actually want. You have the option to decline something on your own terms. Oh girl you are SO right. Isn’t it crazy how simply choosing what you actually want makes you feel so dang free? I so love this and commend you on working towards intuitive eating! I don’t think any of us ever stop learning, and I too am on my IE journey. I love all of your foods!! 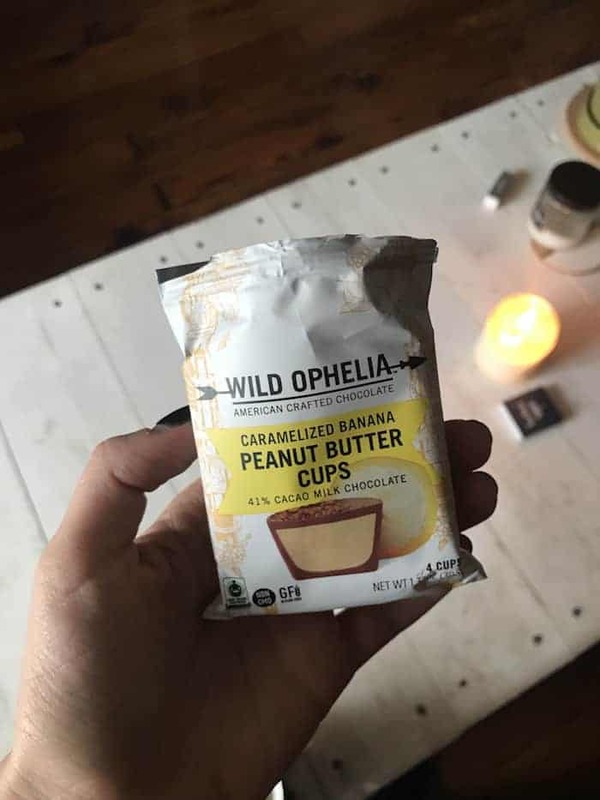 Those banana pb bites look heavenly, and upon looking at their website, I saw they had cold brew chocolate bites. Ohmygosh…those will be a must. I love sweet-salty snacks and meals! Have a great day, Natalie! Thanks so much! You’re the sweetest. Wish we could hang out and eat all the delish pb cup! That muffin/apple/cheddar combo looks like the perfect snack. 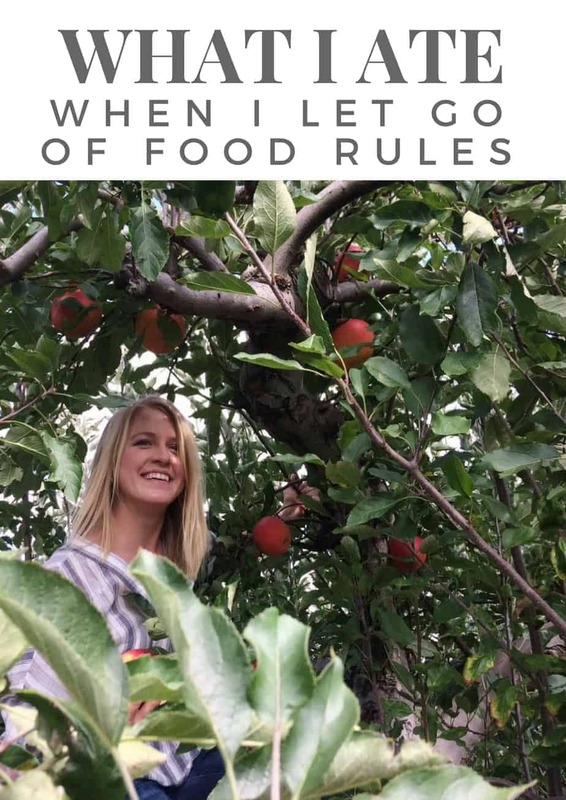 I love the variety of your meals and snacks – letting go of food rules is beyond liberating, right?! So so right!! Food becomes straight up FUN. And the sweet and savory combo from the apple and cheddar is to die for! Removing the black and white mentality means that I can now make better food choices without having to use any willpower at all!!! It’s THE BEST isn’t it?! I’ve heard a lot of people say that once they’ve gotten more into intuitive eating they realize they don’t actually like sweets as much as they thought! Odd, and interesting. I’m not there yet, I still have a major sweet tooth. Natalie, this is such an amazing and uplifting post. I’m so glad that you’ve arrived at intuitive eating. Trust me, I know how challenging the path to it can be, but it’s all so dang worth it when you can enjoy an ice cream cone with your friends just because and have it not haunt you for days. Haha, snacking and talking about life with a friend is DEF better than homework. # relatable Also, your egg breakfast and Alchemy lunch gave me SERIOUS food envy. Yumm. These all foods look so delicious. Thanks for sharing . Gonna try it out. Helmet Heroes http://helmetheroes.games is a an enormously multiplayer duty having fun game in which you could partner with your online good friends as well as discover regions and also fight against adversaries. It includes nearly 40 enemies, hundreds of various tools, headgears, shield, and devices. You can pick between being a warrior, archer, wizard, or cowboy. Or if you ‘d such as, you could combine courses and also produce you possess mix. You could also double possess tools and use shields. There are a a great deal of unique skills to select from along with the capability to unleash substantial earth shaking power degrees to excite other players as well as help you pound with waves of enemies. In your downtime from battling, you can fish for over 40 different fish, or you can cut down trees to obtain wood to craft new devices. You could also purchase animals which will certainly help you battle adversaries and also you can even ride them! Love chocolate chips. The picture has made me drooling. Have to make it. Thanks for the recipe. Big time foodie and love cooking. Thanks for this article. Makes me encourage to start my own cooking field business.